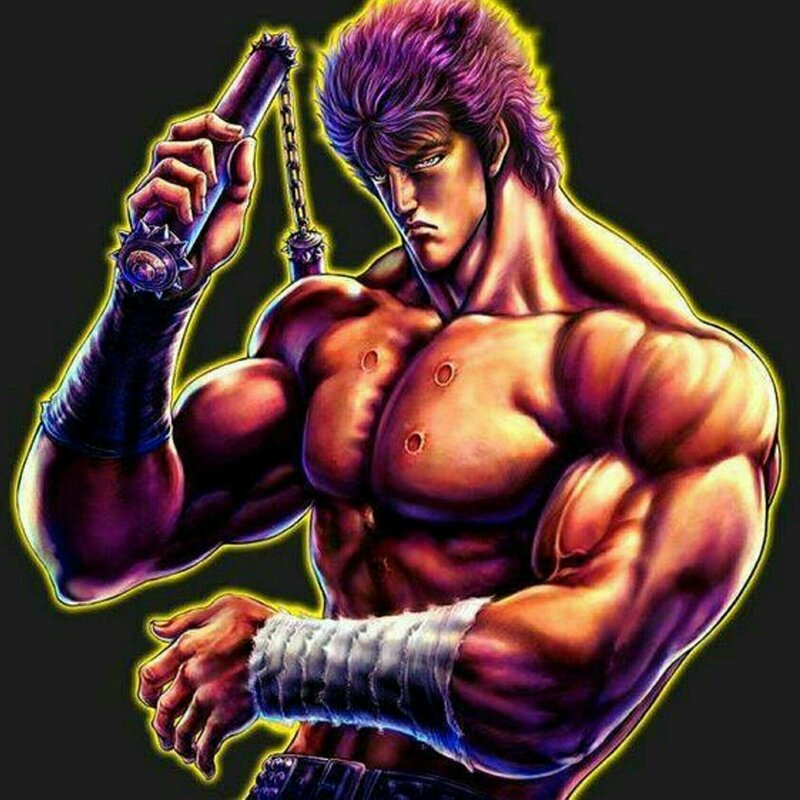 Kenshiro is the 64th successor of the Hokuto Shin Ken style and considered one of the greatest successors in its history - due to mastering legendary techniques such as Muso Tensei. His body is distinguished by the trademark seven scars on his chest in the shape of the Hokuto Shichisei (Big Dipper) which were inflicted by his rival Shin. 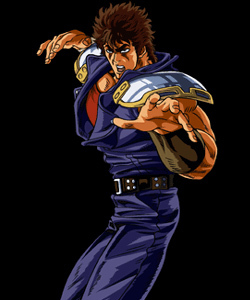 Kenshiro is the fiance of Yuria, but after they were tragically separated he journeyed the wasteland and became a savior of the people through his acts of bravery. In the 1970s, Kenshiro was born in Taiseiden, Land of Asura to the Hokuto Soke family. Ryūken named Kenshiro after his older brother, Kenshiro Kasumi, because both had a Big Dipper-shaped birthmark on their heads. The identity of his parents has never been made clear, but he has an older brother named Hyo. Hyō and Kenshiro were caught in a fire and were rescued by Kaio's Mother, at the cost of her life. With the Land of Asura in political turmoil, Jukei sent the baby Kenshiro away to Japan with Raoh and Toki to be raised by Ryuken. 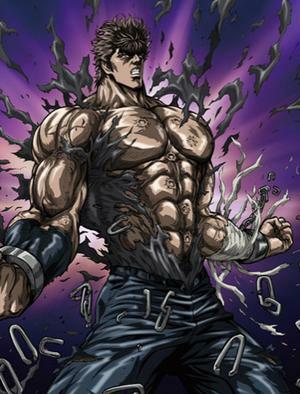 I never followed the Hokuto No Ken series too closely, but I always thought Kenshiro was a pretty cool design. He punches fast, kicks fast, and does some Bruce Lee-type stuff. I can respect that. I also noticed that his classic attire has spawned some inspiration within the fighting game realm. 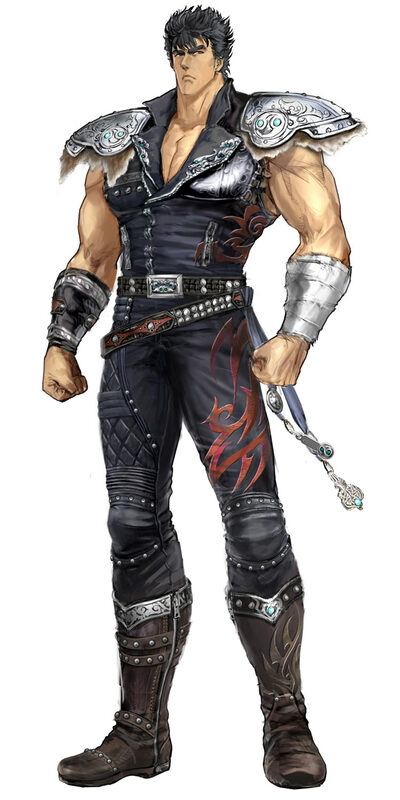 For one, both Paul Phoenix and Marshall Law from TEKKEN can be customized to look like Kenshiro (in various installments). 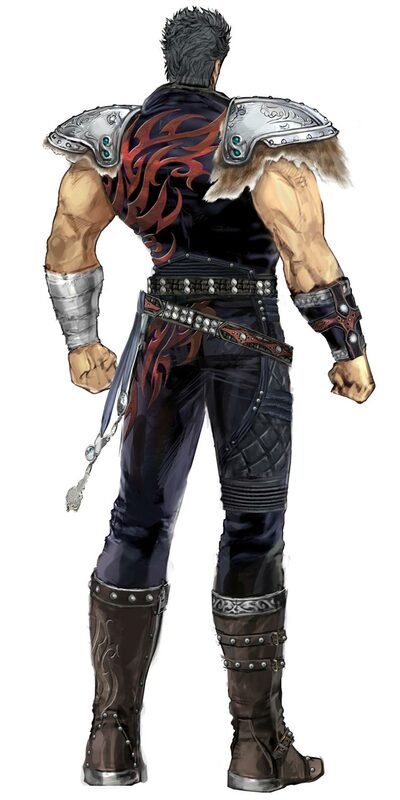 On that note, Paul's default costume itself in TEKKEN 7: Fated Retribution takes inspiration from Kenshiro's. Don't touch them shoulder pads.